My name is Julia and I am working at the Alzheimer’s Family Center to earn my Girl Scout Gold Award. My Grandmother was diagnosed with Alzheimer’s disease about six years ago. It all started with Apples to Apples, a thrilling card game of matching nouns to adjectives. On a warm summer day, my whole family gathered around my grandparent’s back patio table in a heated, but lighthearted match. “Where’s my card?” my grandma stated with a smile, making everyone chuckle with delight. Everyone figured she was just being her charming and silly self, trying to confuse my dad into picking her card. But little did we know, she was not joking. This simple, seemingly insignificant question was the first sign of something that would change my family’s life. My grandma’s struggle with Alzheimer’s and the impact it had on the people I love inspired me to find a way to help. I decided to focus my Gold Award on finding ways for loved ones to continue to connect and communicate with people dealing with Alzheimer’s. Tapping into forgotten or suppressed memories of someone with Alzheimer’s became the emphasis of my project. 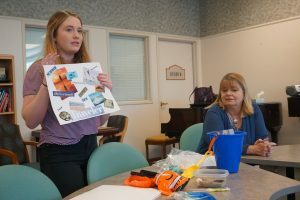 Working with the Alzheimer’s Family Center, I designed themed sensory memory boxes and conducted several workshops with the New Connections group. Each workshop had a different theme and we explored the boxes and completed complementary craft activities to help stimulate memories and facilitate conversations. 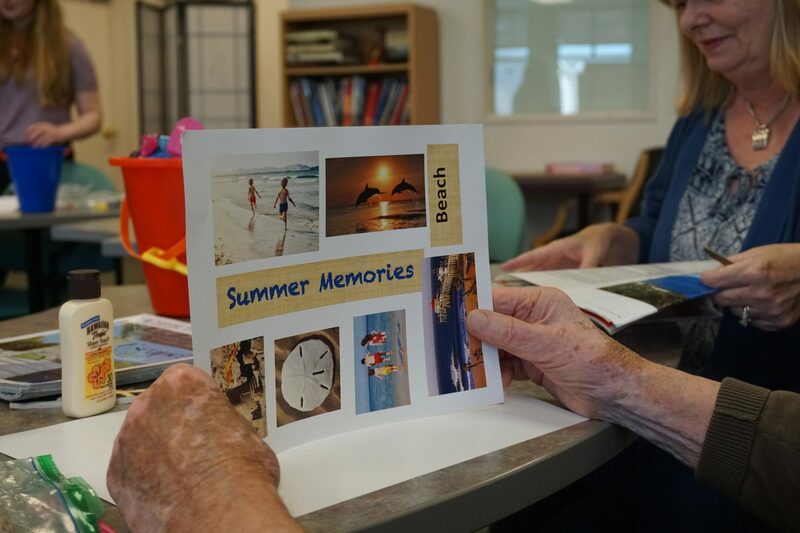 Themed sensory memory boxes are a simple, fun and engaging way for family members and friends to maintain strong personal connections with their loved ones with Alzheimer’s. What is a themed sensory memory box? As the name implies, it is a box or container of some sort with various items associated with a theme such as a holiday, one of the four seasons, favorite hobbies, a birthday or other special events. The items selected should stimulate one or more of the five senses: sight, hearing, touch, taste, or smell. Handling the different items of varying textures, smells or sounds can help spark fond memories and facilitate conversations between you and your loved one. The benefits of sensory boxes include improved mood and self- esteem, a greater degree of relaxation and creativity, and increased social interaction. Pick a theme: Select a theme memorable to your loved one such as a favorite season, favorite hobby, or favorite vacation. Select the items: If possible, brainstorm ideas with your loved one on different items to include in the box, keeping in mind objects that will stimulate the five senses. For taste, include snacks or drinks that can be eaten prior, during or after exploring the memory box. For a summer themed box, for example, you might want to include salt water taffy or lemonade. Also consider playing background music that complements the theme. Additionally, personal keepsakes, such as family photos and mementos, are always good items to include. Once you have identified the list of items, gather them by yourself or together with family members as a family project; include your loved one if they are able. Select the box: The container for your sensory memory box can be as simple as a shoe box or elaborate as you like. You can be creative too. For example, for a summer themed box, you could use a sand pail to hold the items. Whatever container you select be sure it is large enough to hold the different items and can also sit comfortably on your loved one’s lap. You don’t want the box too large. Develop Prompt Questions: Developing a list of prompt questions to use while exploring the sensory memory box helps facilitate conversation. Be ready to share some of your favorite memories too. Consider labeling family mementos so that other family members or friends understand the significance of the items. Have fun: Once the box is completed, periodically bring it out and explore each item by allowing your loved one to handle each item and by you asking them prompt questions. These boxes are also a wonderful way for guests to interact with your loved one when they come to visit. And don’t be surprised if your loved one recalls different memories or responses than expected. Themed sensory memory boxes will help you maintain a personal connection to your loved one and may also give you new and lasting memories. Despite her Alzheimer’s, my grandma lived in the moment and enjoyed her life until she passed away last year. She taught me that small gestures such as a smile, a happy memory or kind word make life meaningful. 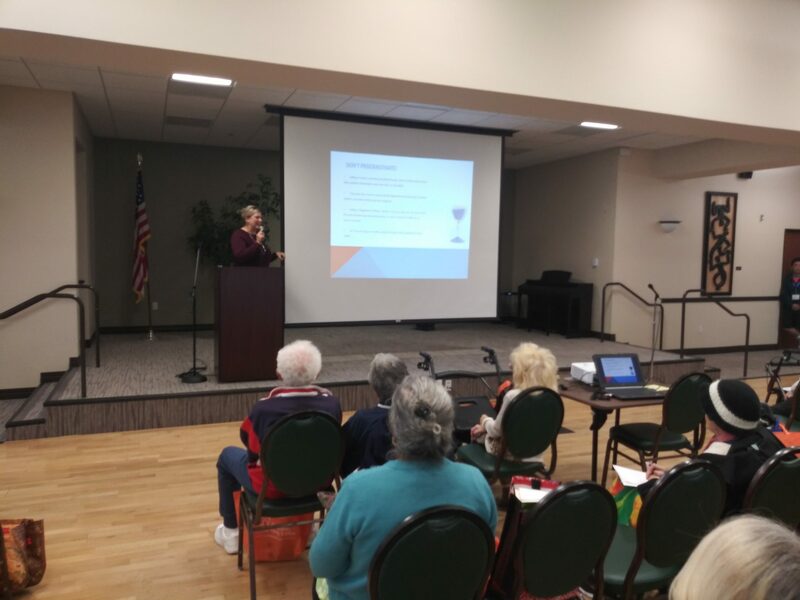 I am grateful to the Alzheimer’s Family Center for allowing me to share my project with their participants. These boxes are no cure, but the chance to make small differences and someone happy is the key to cherishing life to the very end. 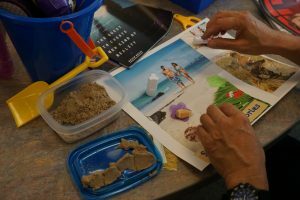 Seeing participants’ joy in reminiscing from memories sparked by the themed sensory memory boxes made my Gold Award experience truly rewarding. Julia Qualls is a student at Mater Dei High School. Her goal is to earn the Girl Scouts’ highest honor: The Gold Award. 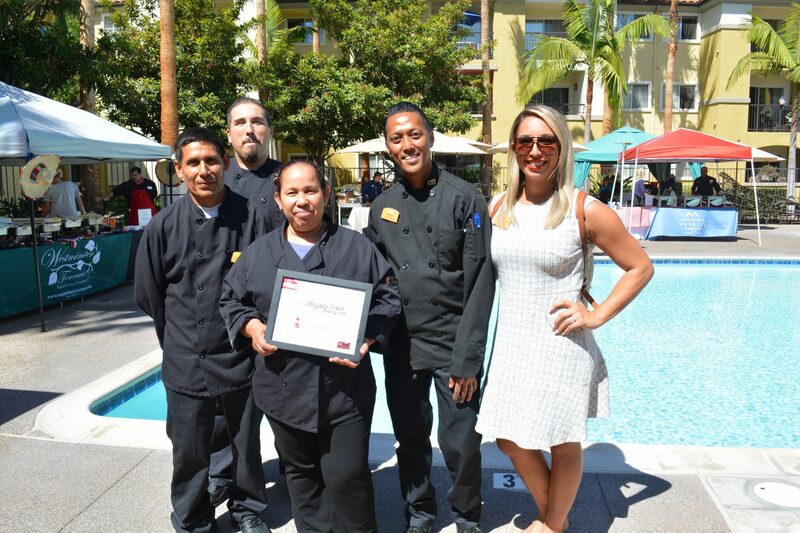 Thank You to Everyone Who Attended the Healthy Brain Expo!